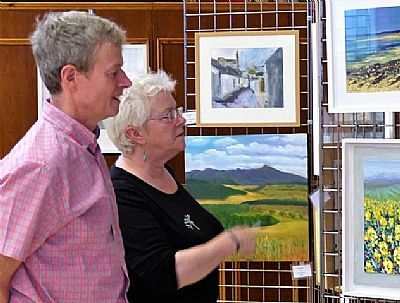 The Art Society Annual Summer Exhibition is held in Inverness, every July. All members are entitled to exhibit, and full details and rules are published in Artyfacts in good time for the exhibition. 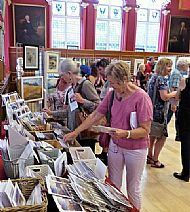 July 2015 saw the exciting return of our Annual Exhibition to the Inverness Town House, its original historical venue. 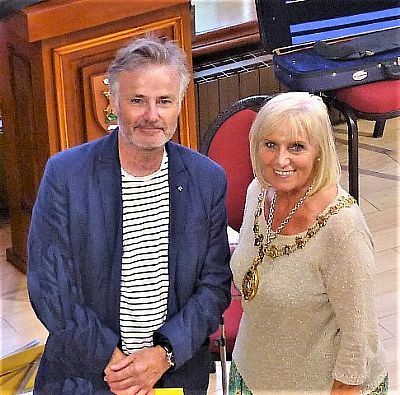 It was a tremendous and successful Exhibition and were invited to return for several years following including this year - 2019. Exhibition visitors admiring the paintings, the Provost at the opening ceremony and buying cards.